ExpanDrive for Mac lets you transparently access, open, edit and save files from within all your favorite programs - TextMate, Photoshop, Acorn, Terminal and even Finder. No need to load a separate client to transfer files. Access remote files over SSH/SFTP from directly within Finder - as easily as if they are on an USB drive you plugged directly into your own computer. 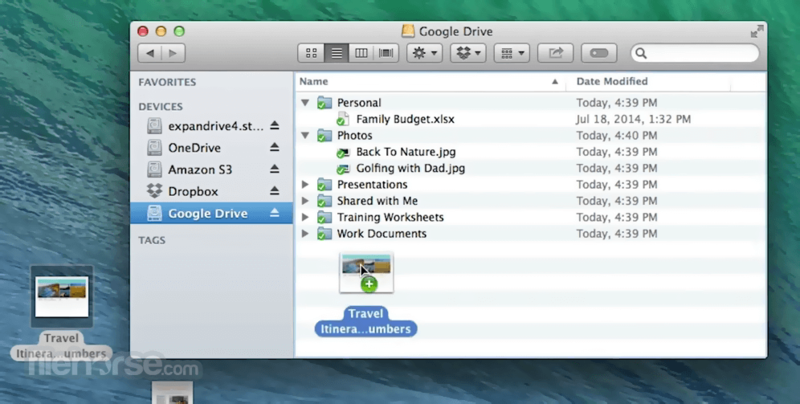 ExpanDrive for Mac delivers super-fast background saves and transfers, and offers more cloud storage provider options than ever before. ExpanDrive creates a virtual USB drive that connects to all major cloud storage providers such as Dropbox, Google Drive, Amazon Cloud Drive, Box, OneDrive, Openstack Swift, Amazon S3 or your own SFTP, FTP or WebDAV server. ExpanDrive v5 changes the game again by moving transfers into the background – just like popular sync apps do [think: Dropbox/Google Drive]. This lets you keep working and stop waiting for transfers to complete. 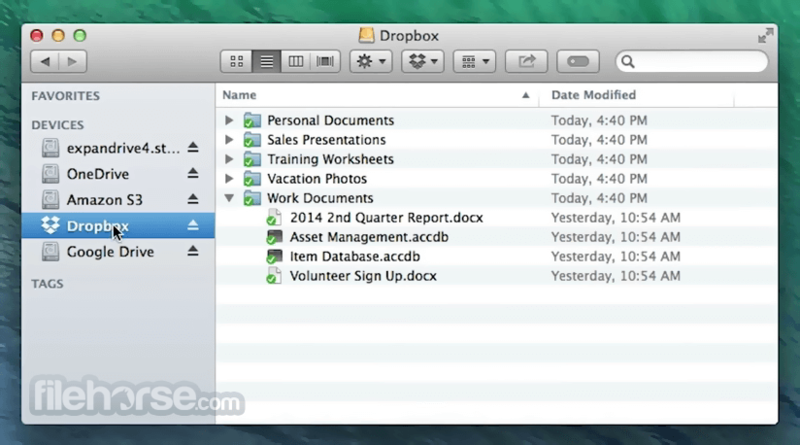 ExpanDrive v5 quickly uploads your files in the background. We’ve built a multi-threaded connection engine that makes our latest version faster and much more responsive. ExpanDrive v5 acts just like a USB drive plugged into your computer. Open, edit, and save files to remote computers from within your favorite programs—even when they are on a server half a world away. Enhance every single application on your computer by transparently connecting it to remote data. 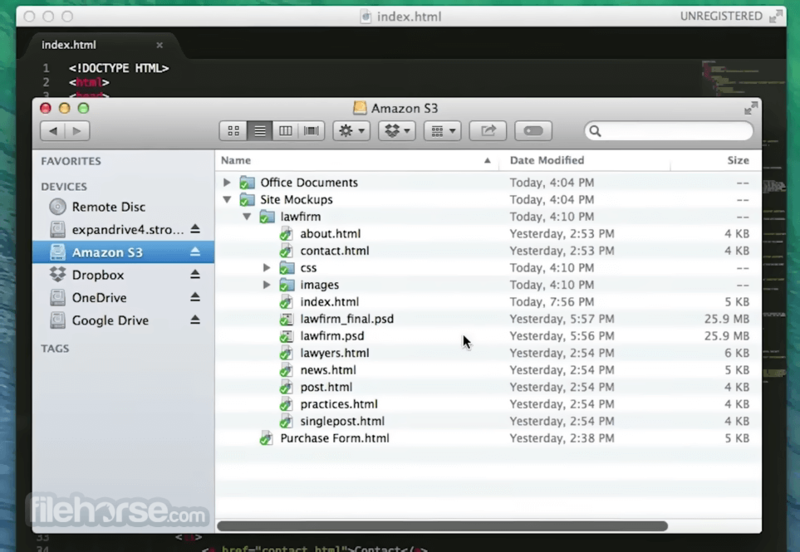 Securely access any remote file server directly from Finder and Explorer, or even the terminal. There’s no need to open a separate transfer client just for file transfer. ExpanDrive v5 extends the way all applications can access data. Note: 7 days trial version. Requires 64-bit processor.